Email has become an all too convenient way to communicate. Some much so for many of us that our inboxes are overflowing with new messages. There have been hundreds of productivity related strategies written about for dealing with email. I have even shared some of those myself. There must be a better way. In Lean manufacturing we utilize 5s to improve the workplace organization. 5s is a systematic method of identifying, organizing, cleaning, maintaining, and improving your workspace. It is often referred to as the foundation or building block of a Lean transformation and aims to create a structured and disciplined approach to continuous improvement. In this post I am going to show you how you can use these same concepts that you use to manage your workspace to save your inbox. First things first, it’s time to get rid of all of the messages that are old and obsolete. Be aggressive in this step. Don’t keep messages that you know will never be returned. If there are attachments that need to be saved or printed, do so now. Get rid of as much as you can. Straighten the inbox, as in "a place for everything and everything in its place." Find a place for all of your e-mails. The easiest and most obvious way is to create folders based on tasks or other buckets of work where emails can be neatly filed for future use. Put e-mails you need to act on in the proper folder. The goal is to remove as much from your inbox as possible. Since we’re talking about computer applications, there really isn’t the necessary cleaning activities that would be required in a physical workspace. Shine in 5S is cleaning to prevent future cleaning. 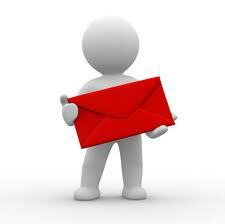 E-mail 5S shine is to get rid of e-mails and prevent them coming back. Block spammers who make it into your inbox to prevent repeat offenders. Unsubscribe to newsgroups or other e-mail marketing rather than deleting them. Don’t reply to informational e-mails with "Thanks" and certainly don't CC everyone. Set a maximum number of e-mails in your inbox and once that number is exceeded, complete another sorting and sifting cycle. Check e-mail at certain times of day rather than playing whack-a-mole with every new "you've got mail". Spend a set amount of time on e-mail checking. Agree to limit who is Carbon Copied (CC) so that extra inbox material is not created. The key is to set rules for yourself to keep things organized. The final step in the process is setting up a quick audit process to make certain your rules are being followed and your account is staying in good shape. In the beginning, this audit may need to be more frequent to force the discipline to adhere. Overtime, it will become a learned way of working and you will be the envy of all your coworkers. 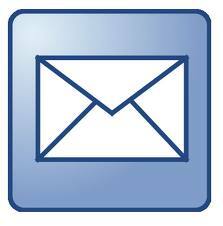 By applying 5S, the management of emails can be simplified and restructured. This will enable you to add value to your day and minimize the time spent on dealing with emails. You will no longer look at your e-mail workspace with dread and you will be far more responsive in replying to other’s requests. At the very least, this exercise is a great way to apply one of the cornerstone Lean tools to the knowledge world. Give it a try. Thank you!!!! I'm going to try this over the weekend. My work inbox crested the 10000 mark last week and I haven't been able to get it back down. I'm certain the network services folks are going to show up at my cube. 10000 emails. Wow, I never seen that mark thankfully. I'd like to hear how you make out in saving yourself and your inbox. Good tips, especially under Standardize. They work! Overall, I'm in full agreement with you here, but I want to push back on "Set In Order." I've seen hundreds of people who tried doing that -- they created dozens of folders to hold their emails -- but eventually, the sheer volume of mail (and the fact that people often put more than one subject in a message) overwhelmed their systems, and they ended up with messages scattered all over their email client. IBM published research that showed people can find messages faster by searching rather than filing (http://goo.gl/fpdwy). If you don't want to read the whole study, check out Lifehacker's summary (http://goo.gl/VE7Lo). To be fair, Apple's Spotlight is much better at finding messages than Microsoft's pathetic cartoon dog (which couldn't find a pork chop if it was tied around its neck), but I think the premise is still valid. Interesting study Dan. So with this information what do you suggest for Set in Order? Tim - I keep unread messages in my inbox. Everything else goes into a folder I call "Processed Mail." Occasionally, when I'm in the middle of a particular project that involves a lot of back & forth emailing/coordination, I'll set up a separate folder TEMPORARILY. Once the project is done, I move those messages into the "Processed Mail" folder. Simple, clean, and easily searchable (since there's only one folder to search) when I need to do so. Great tips! Keeping up with both my personal and work email has become a constant battle. I think the "sustain" step is crucial because it's so easy to become overwhelmed, especially if you go on vacation!